With shouts of “…and 5, 6, 7, 8” resonating all over the country, the legendary Broadway production A Chorus Line is returning to the UK. Dust off your leotards as Michael Bennett’s Tony Award-winning production will be revived for the first time in 35 years, in London next year, opening at the West End’s London Palladium on 19 February 2013. Full of high-cut leotards and tan character shoes, A Chorus Line is to be directed by Bob Avian, who also directed the 2006 Tony-nominated Broadway production, with this production being dedicated to Marvin Hamlisch, the composer who wrote the music, who died in August this year. Avian was Bennett’s long-term collaborator and his co-choreographer on the original production, and again for the long-rumoured revival. 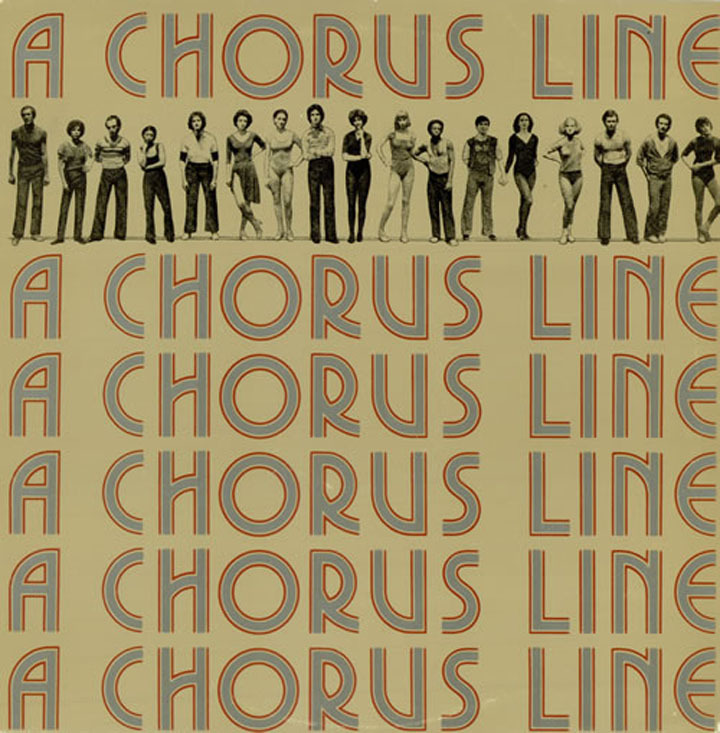 A Chorus Line won nine Tony Awards and the Pulitzer Prize for Drama when it opened on Broadway in 1975 and went on to become the then longest-running musical on Broadway, reaching 6,137 performances. It transferred to the West End the following year, winning the Olivier Award for Best New Musical. In 1985, it was made into a Hollywood film directed by Richard Attenborough and starring Michael Douglas as the demanding director putting his dancers – including one ex-lover – through their paces. The story focuses on 17 hopefuls auditioning for just eight places in a new Broadway musical with its famous score including number such as “I Hope I Get It”, “Sing!” and, most memorably, “One (Singular Sensation)”. The auditionees describe the events which have shaped their lives and their decisions to be dancers. Based on true stories, A Chorus Line revolutionised Broadway. The London revival is booking until 13 July 2013, with open auditions being held on 1 October 2012 for male and female performers aged 18 to 35… so grab your legwarmers and take to the stage! Following the success of the first Guest Speaker event with Christopher Hampson in April 2012, the Royal Academy of Dance’s Faculty of Education is due to welcome Kevin O’Hare, brand new Director of The Royal Ballet. O’Hare will be the first “event” of the RAD’s 2012-2013 Guest Speaker Series, open to RAD students, members and non-members alike. O’Hare was first trained at The Royal Ballet School, donning his practice shoes and ballet tights before stepping into Mason’s Director-ship shoes of The Royal Ballet many years later, following her retirement in July 2012. After his stint at The Royal Ballet School, O’Hare went on to train through an exchange programme with the Royal Danish Ballet. He then joined the Sadler’s Wells Royal Ballet as it was then known, and was promoted to Principal in 1990: it has since become Birmingham Royal Ballet, in 1990. During O’Hare’s performing career, his repertory included leading classical roles and works by esteemed choreographers such as George Balanchine, John Cranko, Hans Van Manen, Sir Anthony Tudor and Twyla Tharp, in addition to numerous international guest appearances. He also created many performing roles, working with Sir Frederick Ashton, Ninette De Valois, Sir Kenneth MacMillan, David Bintley and Peter Wright, amongst others. O’Hare lay his leotards and leggings to rest in 2000 when he retired from dancing in order to work with the Royal Shakespeare Company, training in company management. He returned to BRB as Company Manager in 2001, joining The Royal Ballet as Company Manager in 2004. In 2009, O’Hare became Administrative Director, with 2012 marking his progression to Direction of the company. In addition to being a governor of The Royal Ballet School, O’Hare has never stepped out of the performing arts sector, and it has certainly paid off. Candoco Dance Company was founded in 1991 by Celeste Dandeker and Adam Benjamin, developed from workshops which grew into the first company of its kind in the UK – a professional dance company focused on the integration of disabled and non-disabled dancers. The company gained much acclaim from the press, general public and the worlds of dance and education, and between 1991 and 2005 the company toured to over 50 countries within Europe, Australia, North and South America, Asia and Africa. Artistic Director Dandeker OBE retired in 2007, having commissioned 30 new performance works for the company from internationally renowned choreographers including Emilyn Claid, Javier de Frutos, Siobhan Davies, and Darshan Singh-Bhuller, catapulting the company into the mainstream dance world from the very beginning. A far cry from tutus and pointe shoes or run-of-the-mill leotards and leggings, Candoco has set itself apart from other contemporary dance companies in showcasing talent, skill and physical and emotional strength. Next up for the company is an evening of bold new dance featuring 12 dancers from China, the UK and Brazil as part of the Southbank Centre’s Festival of the World. The evening contains new works by choreographers Marc Brew and Claire Cunningham. The summer long Festival of the World is made up of smaller festivals and weekends, with Candoco belonging to Unlimited. Together the separate ‘events’ create a story demonstrating how art is changing in different and exciting ways. Unlimited is running for 10 days, encompassing and celebrating comedy, dance, performance and art by deaf and disabled artists. This individual festival celebrates the arts on a huge scale, encouraging artists to push beyond by creating work which poses questions and inspires new collaborations. With the Paralympic Games just around the corner, the arts, culture and sport are able to be mixed into a delightful combination, opening doors and creating new directions for the future. Image courtesy of Candoco Dance Company. The BBC’s Children In Need has just announced its star-studded line-up for this year’s Pop Goes The Musical, in which everyone’s favourite pop stars star in some of the West End’s musicals. Spice Girl Geri Halliwell, X-Factor winner Alexandra Burke, boy band Blue, soulful Macy Gray and newcomers Stooshe will all take part in this unique charity project that challenges the singers to tread the West End boards, don their jazz shoes and New Yorkers and perform at a very special curtain call. Halliwell is set to take to the legendary Palace Theatre stage in the classic musical Singin’ In The Rain on 25 October, and has already expressed her excitement at being a part of the project. Fellow popsters Blue will take on the shiny shoes and iconic red coats from 1960s set musical Jersey Boys on 11 October, with Duncan James being well equipped to take on the challenge following starring roles in the West End shows Chicago and Legally Blonde the Musical. The long-running Queen’s Theatre Les Misérables will welcome Burke to centre stage on 18 September, with Burke already being a fan of the show, and Thriller Live audiences will be treated with two separate performances on 15 November by Grammy Award-winning artist Macy Gray and chart-toppers Stooshe. Each celebrity will perform a song from their allocated West End show following that evening’s performance, which will be held in support of the BBC’s famous charity that supports more than 2,000 projects helping disadvantaged young people across the UK. Pop Goes The Musical was launched last year with Peter Andre, Stacey Solomon, Dionne Bromfield and Melanie C, another Spice Girl, providing their vocal talents and show tights to help the incredible work of the charity. The first phase of Dance UK’s efforts to open a dance injury research and treatment facility for professional dancers is set to open at the Royal National Orthopaedic Hospital in London, five years after it was first announced to be going ahead. Dancers can be referred to the clinic by their GP from anywhere in the UK as part of the National Health Service, offering encouragement that the arts world is finally being viewed as an equal to the rest of the world, and sports in particular. There are two other specialist centres where dancers can receive treatment and therapy for injuries that many may not be aware of. The first is located at Laban, also in London, through their Dance Science department. They offer a range of treatments and therapies, many of which are about prevention, not just fixing broken dancers. The second is The Jerwood Centre for the Prevention and Treatment of Dance Injuries in Birmingham, which closed temporarily in October 2011 to those dancers who were not part of Birmingham Royal Ballet, but the centre is now open to all again. Dance UK hope now that the London based NHS clinic is something that will be replicated across the UK in order to widen access to either free or low cost injury treatment and prevention for professional dancers. No matter the dancers’ background, be it wearing tutus and pointe shoes, or leotards and leggings, the new facility is a vital part of the dance sector. Providing dancers with specialised treatment, rather than the generic physiotherapy, for their injuries will mean that performing companies will become stronger as a unit and injury prevention will hopefully be at the forefront of minds within the sector. New cultural education projects have been announced by the Department for Culture, Media and Sport, meaning young people from all backgrounds will get increased opportunities to access dance, music and museums. Donning the dancewear so integral to the youth of the UK, be it ballet shoes, jazz pants or urban sneakers, the esteemed dance house Sadler’s Wells has been selected to form the National Youth Dance Company (NYDC) as part of plans to boost cultural education. Arts Council England announced that the organisation will run the company, providing 90 talented 16 to 19-year-olds with the chance to develop the skills for a career in dance. With dance gaining more interest and popularity across the country than ever before, economically, politically and socially, the National Youth Dance Company is a fantastic initiative for those whose passions embody dance life, and also wear Lycra. Four new projects have also been chosen for the ‘In Harmony’ programme, which aims to inspire and transform the lives of children in deprived communities through community-based orchestral music-making. Projects will be delivered between 2012 and 2015, joining existing projects in Lambeth and Liverpool. The programme is jointly funded by the Arts Council and the Department for Education, taking forward some key recommendations in the National Plan for Music Education. Aiming to stretch ambitions, the programmes will enable young people to engage with schemes that are truly excellent, with commissions offering national opportunities in order to grasp dreams and help make them a reality. Culture Minister Ed Vaizey added that “introducing the UK’s young people to dance, music and museums through fantastic initiatives like these will help inspire, nurture and foster the next generation of performers”, demonstrating the great continuations of the cultural and artistic achievements of the UK. On the weekend of the 21 and 22 July, seven weeks of free, family fun kicked off as part of the Mayor of London Presents Showtime. Showtime signified an electrifying mix of incredible artists and shows handpicked from across the world. Over the coming weeks these specific art forms will join on London, be it leotards and pretty pink ballet shoes or jazz quartets. The performances over the next seven weeks will reach every corner of London, fulfilling everyone’s artistic preference. Forming part of the London 2012 Festival and supported by Arts Council England as a principal funder of the London 2012 Cultural Olympiad, Showtime will combine the best of British street arts, international acts, and a host of alternative music from beat box to electro swing across all 33 London Boroughs. On the 21 and 22 July, the action began with major events at The Piazza on Wimbledon Broadway as part of Merton’s Outdoor Arts Festival; at General Gordon Square in Woolwich to coincide with the Torch Relay; at the Whitecross Street Party in Islington; in Kingston; and Richmond Riverside. Over the rest of the summer, the highlights of Showtime feature a hair-raising experience with Arcadia’s Lord of Lightning wrestling four million volts of electricity, and an enchanting performance from the Invisible People telling poems, stories and jokes one to one. The Lyrix Organix: Relay will feature the finest poets, beatboxers, hip hop and freestylers in an original live experience, and you can get dancing to everything from swing to break-dance in urban dancewear and sneakers at Continental Drifts’ Bandstand Remixed. 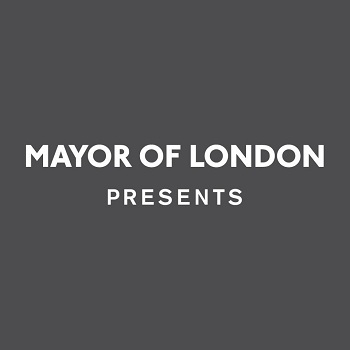 To find out what’s happening near you and to plan a summer like no other visit the Mayor of London Presents website. The Imperial Society of Dance Teachers (as it was first known) was formed on 25th July 1904 at the Hotel Cecil in Covent Garden, London, and therefore turned 108 years old this year, advocating a huge variety of dance genres and the ballet shoes, tap shoes and jazz shoes that come too. In 1906, the first Congress of the ISTD was held after a council of management was formed, attended by forty-two members, a far cry from the ISTD’s membership today. In September 1907 the first issue of “Dance Journal” (now known as DANCE magazine) was published, and by 1913 the ISTD consisted of 132 members. It wasn’t until after the war years of WWI, in 1924, that the foundations of the present structure of the ISTD were established by the formation of separate Branches (now Faculties). 1925 saw a change of name to “The Imperial Society of Teachers of Dancing”, and 1930 saw the ISTD increase to 2,000 members, all wielding their leotards and tights, eager to dance. 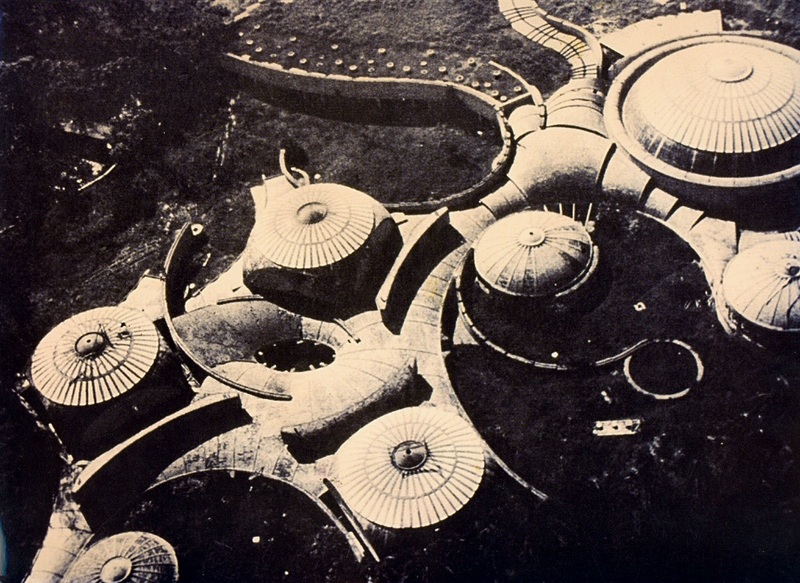 As well as the Operatic and General, new branches were formed for the following techniques: Modern Ballroom Dancing; Classical; Classical Ballet Cecchetti Method; Greek Dance – Ruby Ginner Method; and Natural Movement – Madge Atkinson Method. In 1931 the Stage Branch was formed to provide a basic training for all dance and embraced specialist stage techniques, encompassing performance in the techniques of dance. As a result, the 1935 membership had risen to 3,000 and by 1938 it reached 4,000. Post WWII, the teachers’ need for an authoritative and comprehensive syllabus in each technique was supplied by the formation of Faculties in each dance form, and the remaining branches of the ISTD were created: Victorian and Sequence Dance Branch, 1948; Latin American Dance Branch, 1951; Historical Dance Branch, 1952; National Dance Branch, 1952 and Scottish Country Dance Branch, 1953. The Disco/Freestyle/Rock ‘n’ Roll Faculty were formed in 1990 to cater for the forms of social dance suggested by the creative freedom of popular music. The South Asian Dance Faculty was formed in 1999 and the most recent addition to the ISTD is the Club Dance Faculty (formed in 1999). In 2002 due to the success of the Modern Theatre Faculty it was necessary to split the Faculty into two, creating the Modern Theatre Faculty and the Tap Dance Faculty. Today the ISTD has more than 7,500 members in over 50 countries throughout the world and holds 250,000 examinations per year.